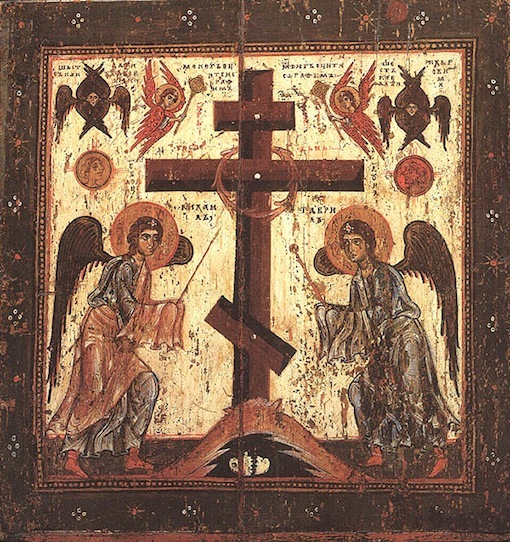 O Lord, save Thy people / and bless Thine inheritance, / grant victory to the Orthodox Christians / over their adversaries, / and by virtue of Thy Cross, // preserve Thy habitation. There will be a Lenten Potluck after the Liturgy of the Presanctified Gifts on every Wednesday night. There will also be a reflection from the book “Return” by Archimandrite Nektarios Antonopoulos at each of these potlucks. Welcome, and bring a dish to share if you can. Archbishop Benjamin will bless us with a visitation this coming weekend, April 13-14. Please do your utmost to be there. We want to have a full house! In anticipation of his visit, we will clean the church on Friday, after the Liturgy of the Presanctified gifts. Your help would be greatly appreciated. Confession are heard around services or by appointment! Several parishioners, new as well as old, have come to me with questions regarding the fast. I will here give the general expectation during Great Lent. If you have dietary issues, or other reasons why you cannot fulfill the expected path of the fast, a pastoral exception can be made. It is expected that you discuss these concessions with your parish priest or spiritual father. There are certain days when alcohol and olive oil are permitted, primarily on Saturdays and Sundays. Consult the wall calendar if you are unsure. Fish is allowed for the Feast of Annunciation and Palm Sunday. Wine and oil is also permitted on Wednesday to Friday in the fifth week of Great Lent (when we sing the Great Canon again, and celebrate the “Akathist Friday”). A peculiarity in the Fast is that eating animals without a backbone, are allowed. This includes shrimp, scallops, mussels, octopus, crab, etc… Just remember that having a lobster dinner may abide by the letter of the Law, but to make that a habit during Great Lent would certainly miss the spirit of the Fast! If you are preparing to take Communion during the Liturgy of the Presanctified Gifts, you are expected to prepare as usual with prayer, fasting and recent Confession. Practically, if the Liturgy is in the morning, you fast completely from midnight until Communion. If the Liturgy is in the evening, you fast at least from noon until the time of Communion. We fast according to our strength. From the earliest days the Church has held that for the elderly, pregnant and those of poor health, the rules of fasting should be relaxed. The same can be true in situations when the faithful live with non-Orthodox family-members, or must eat in cafeterias or school lunchrooms. There are many situations that make fasting difficult. At all times it is essential to bear in mind that ‘you are not under the law but under grace.’ (Rom 6:14). However, fasting has never been easy. We must always do what we can, and we can almost always do more than we think. If you are uncertain, always seek the advice of your spiritual father.